Today the market was opened with a small gap up, that’s why the current wave markings have been a bit corrected. Taking into consideration the fact that the price is growing very slowly, we can expect the correction to continue. 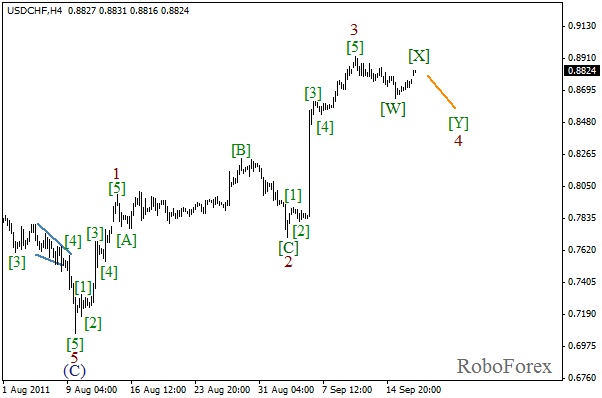 Most likely, the fourth wave will take the form of double three pattern. 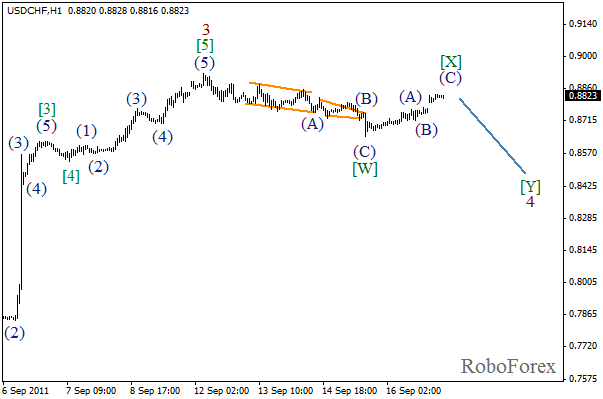 It looks like wave [X] is being formed and taking the form of a usual zigzag pattern. On the minor wave level we can see the formation of wave (C). The forecast of the price movement is shown on the chart. Wave [Y] of 4 may start during the day. We may assume that wave (B) has been already completed and now we can see the formation of wave (C) of [Y]. In the near term, the price may continue falling down. 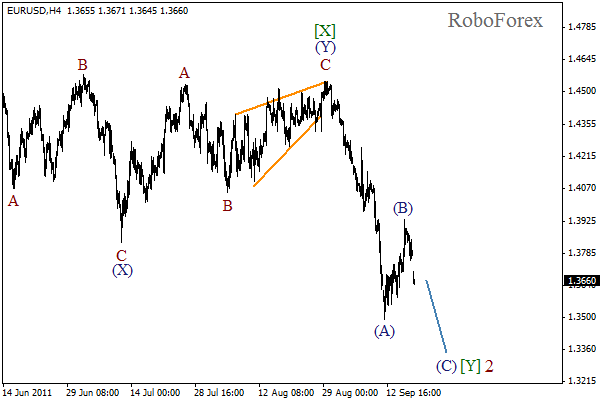 Most likely, wave (C) will be a bit smaller than wave (A). More detailed wave markings are shown on the H1 chart. 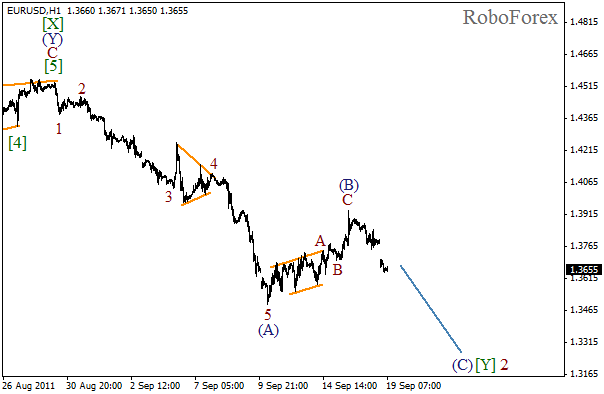 Zigzag pattern has been completed in wave (B), and we can see the formation of a descending impulse in wave (C). Most likely the price will continue moving downwards during the day and the market may reach a new local minimum by the end of the week.